The Marketing and Advertising industry has come a long way from promoting products by word of mouth to distributing pamphlets and billboards. With the world now closely knit courtesy digital technology everything has become fast paced. A pool of options, impatient customers and shorter attention span calls for effective strategies to create a long-lasting impact and nurture clients. 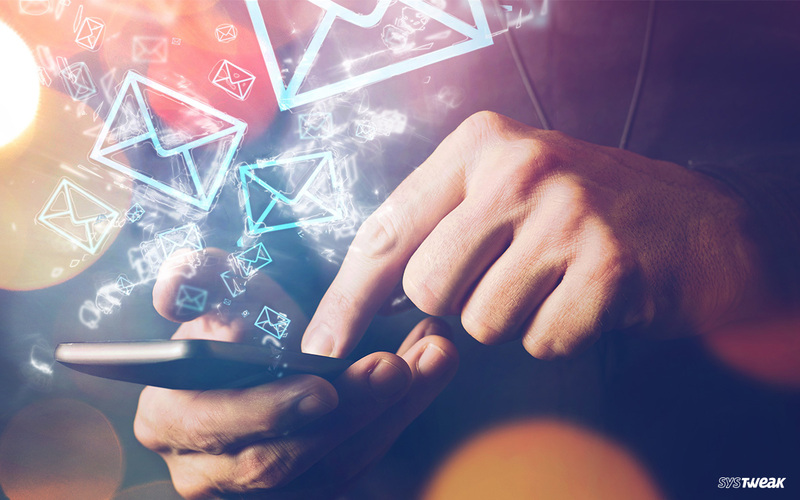 In the gamut of marketing strategies, email marketing is the most effective so far. Emails are one of the fastest way to reach out to your customers. Which makes bulk mail software a much-needed tool by most of the marketers. A good software would not only send out bulk emails but also offer a combination of tools to effectively reach out to clientele. Rather than having to research individually, we have compiled the top 10 best software to send mail in bulk. SendBlaster has been a popular option for years. The software is simple and easy to use. It not only helps send out bulk emails but also set up campaigns. The beauty about this software is that it caters to all the basic tools required by a business. It is ideal for enterprises which mostly use emails to communicate. Some of its features include, strong spam check and easy transfer of contacts from various formats like excel, Access, Outlook etc. It also offers a set of basic templates. If you are seeking a frill free software to send out bulk emails then SendBlaster is the ideal software. It lets the user personalize emails and add features like unsubscribe link. The tracking tool of this software helps keep a tab on the number of people who open the email. The list of best software to send mail in bulk would be incomplete without MailChimp. It has been offering email marketing services since the year 2009. Apart from sending out bulk emails, the software offers tools like A/B testing of campaigns, time-warp function and contact management. A/B testing allows the user to send out different emails to a group split in two. The email which gets a higher open rate is then sent to emails of the group which got lower open rate. This will allow the user to effectively market their brand. Time warp function allows the user to set a specific time to send out the bulk emails based on the time zone of the contacts. This hassle-free software to send bulk emails, is a good choice for small businesses. It not only allows designers to send out bulk emails but also offers template to design the same. The software sends out automated triggered campaigns which pushes the brand more. It also has the facility to let the user send out bulk SMS. It gives the user a dashboard which has updated information on the number of sent emails, deliverability rate, open rate and click rate to name a few. It is economical and thus easy on the pocket. SendinBlue also provides Inbox testing and free plan also. It is available in 6 languages. Thunder Mailer is a popular choice amongst software that can send out bulk emails. The software is easy to understand and simple to operate. It is the go to software if you are a beginner even if you don’t have the technical know-how. At the same time, it offers a plethora of tools for the advanced users. It offers features like sending out personalized emails (which is the need of the hour in digital Marketing) , analytical functions which sift unwanted emails and categorization of contacts. This software is most suitable for all types of businesses. The list of best software to send mail in bulk would incomplete without Aweber.This reasonably priced software is suitable for if you have a large contact list to send emails to. The software lets the user to import contacts from various file types such as xls, xlsx, tsv, csv and txt format. The best feature of AWeber is the support that they offer to their clients. While most of the providers in this category offer only email support, they offer phone, email and live chat support. Like the most in this list, AWeber offers many templates to its user to create customized emails. It also has much-needed features like autoresponder and split testing. The software allows easy and useful segmentation of the client database. If you are on a budget or looking for an easy to use platform to start bulk emailing, Mad Mimi is the perfect software for you. Mad Mimi has its pricing divided into 4 categories, Basic, Pro, Silver and Gold. Each category has many more options based on number of email addresses that user wishes to add. Interestingly, higher the package higher is the speed at which mails are sent out. Apart from the usual features it also allows the user to integrate third party apps such as Google Analytics, Salesforce, Facebook (signup page), Capsule CRM etc. This feature compensates for the tools that are not incorporated in it. If you require to send bulk emails with images then Vertical Response is the best in this category. The software offers advanced editing tools to create attractive emails to send out to clients. The designer can send pre-designed HTML emails as well as use the tools offered by VerticalResponse. The software allows to send out campaigns as per the location of the customers of an enterprise. GetResponse software is simple to use and can be considered if your emails do not involve many images. It has many templates to offer to its user. There are four plans, Email, Pro, Max and Enterprise. Pro Plan and above offer split testing feature as well. Email is the basic plan which allows you to send out bulk emails. Apart from bulk emails, GetResponse has worthy features like analytics tool, auto responder, e-newsletter template and split testing. Other features include, landing page creator, webinars, CRM and 24*7 customer support. EmailOctopus has integrated Amazon SES transactional email service to send out bulk mails. The services are available at very low rates as compared to others in the league. It allows the user to create HTML email templates and sends out customized emails the client list of the enterprise. The software can be integrated with WordPress site. It offers 4 plans, Shrimp, Tuna, Shark and Whale. A cost-effective software, with Email Octopus you can send emails to 250k email ids. Last but not the least in this top 10 list is Benchmark email, which offers comprehensive email marketing services to its users. It has both paid and free plans. The software lets you send mails to up to 7,140,000 subscribers, depending upon the plan. It also has a free plan which would let the user send out 14000 emails to 2000 subscribers. However, in free plan each mail would have the Benchmark Email logo at the bottom of every mail. For those who do not have an issue with it, can avail this service for free. A web based service, it is a good investment for small to medium businesses. We hope we could help you narrow down the best software to send mail in bulk according to your business requirement. By availing one of these services we wish you are able to build a large client base and increase the brand awareness.